The complexity of the contemporary security environment and the growth of information society present us with important dilemmas in how to effectively protect key national intelligence and information, given that timely and accurate information has become an important part of achieving strategic interests. After the fall of the Berlin Wall, the international community was lulled into a false perception that counter-intelligence was no longer needed, since we were in an era of supposedly open and friendly relations. This has been proven wrong, and we have recently seen that even closest allies pursue intelligence activities against each other. In order to detect these risks and threats, we need counterintelligence― alongside security it provides the most complex defense of national strategic interests. The transitional countries of Europe, among them the Balkan states, have not paid sufficient attention to the field of counter-intelligence in the building of their own national security systems. Because anything related to past systems of national security was abolished, forgotten, or overlooked, the national security of these states was negatively impacted; furthermore, they are now faced with having to look for an adequate and effective model of counter-intelligence. In doing so, they are sometimes unaware of the important differences between various counter-intelligence models, which were adapted to different countries and environments. This is why transitional countries should begin by looking at their own context and especially at the European perspective, even though the American perception of counterintelligence is perhaps more immediately accessible through open sources. 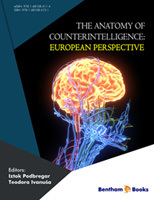 The present book is an excellent foundation for building a comprehensive European concept of counter-intelligence and for further pursuit of professional and scientific approaches in the field of counter-intelligence, in particular European counter-intelligence. The added quality of the text is the integration of practical knowledge and experience, the comparison between European, in particular Balkan, and American perspectives, and the comparison of counterintelligence models in different regions. This book presents the reader with the anatomy of European counter-intelligence, with particular emphasis on the counter-intelligence modus vivendi et operandi prevalent in the Balkans. Even though seemingly identical, counter-intelligence methods do in fact differ from one region to another. A subtle examination presents a complex picture, which shows that counter-intelligence methods remain strikingly consistent through time but are simultaneously shaped and affected by historical circumstances, political systems and decisions, socioeconomic factors, culture, customs, and most importantly―by the people who use them. The European and Balkan counter-intelligence practices rely on unstated principles and unwritten rules. The present text, however, will say and reveal enough to show the attentive reader where the truth begins.